This is a yearly favorite for us and is the biggest expo style demo on the West Coast. Hands on, touch it, feel it, try it and check it out in person! Year after year our turn out has been spectacular featuring all the top brands in the industry and tons of passionate kiters in one place. Mark your calendar for April 12-14th to come test out every piece of gear imaginable. Event brought to you by The Kiteboarder Magazine and in honor of Kinsley! Complete Pismo Beach Kitexpo Event details below. 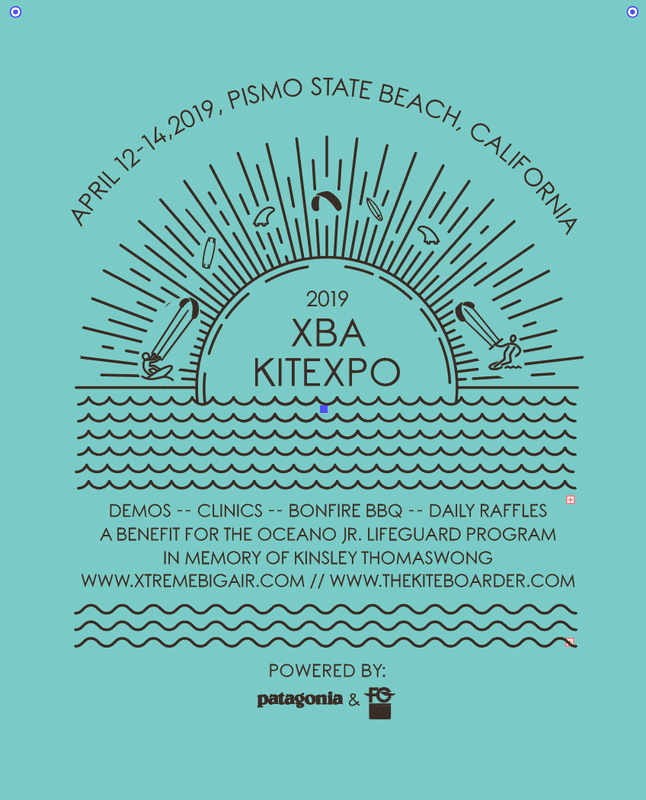 17th Annual XBA/Pismo Kitexpo April 12-14, 2019: Wind, waves, downwind van ans more! The Pismo Kitexpo is now called the XBA Kitexpo, in honor of founder Kinsley ThomasWong of XtremeBigAir (XBA). In celebration of Kinsley’s love for the ocean and his desire to share his stoke, Kitexpo now benefits the Oceano Junior Lifeguards summer program. As many of us watermen and women know, a program like this changes lives! When we can get kids excited about the ocean, they will in turn respect it and its inhabitants. This program runs during the month of July. For 16 years Kitexpo has been a free demo event. Due to increased expenses that the event can no longer absorb, a $20/pp fee will now be charged to all participants. The $20 fee will get you a raffle ticket good towards thousands of dollars of prizes and two raffles, 3 days of demoing gear from a multitude o brands, plus we have added a downwind truck/rides for the weekend only for Fri and Sat demo days only starting at 2 or 3pm, weather dependent. 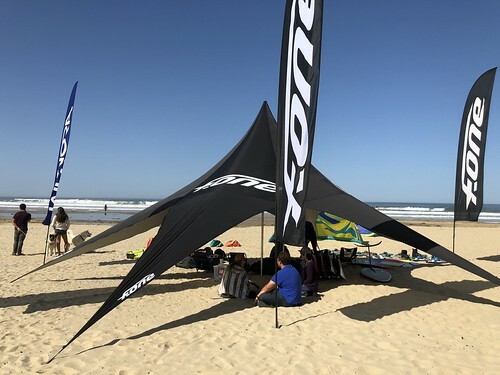 Must be intermediate level or better kiteboarder/surfer/SUPer, comfortable in crowds, able to do basic tricks/self-rescue, sign waiver and provide CC info (VISA/MC only) to demo kiteboarding and/or SUP gear. Registration is 10a-3p Fri and Saturday, and noon to 2p Sunday. Kitexpo demo participants will get a plastic card with participating vendor logos on it. This card will come with a zip tie that you can loop around your harness or wetsuit zipper. Request each vendor mark their logo when you demo their gear. We will do a Sunday morning raffle and possible breakfast TBD between 10a -11a with the cards so participants demoing brands need to submit their card to registration with their name/number written on the back by 5p SATURDAY WHEN REGISTRATION CLOSES to be eligible for a Sunday drawing. Demo participants will also get a raffle ticket when registering. Participating vendors: AXIS, Airush, Cabrinha, Core/Carved, Duotone/Ion, Flysurfer, F-One/Manera, Liquid Force, Murray’s (Gath, Forward WIP, Dakine, Dynabar) Naish, Slingshot/Ride Engine and RRD! Note FCD new boards will be available for demo from the Tkb registration booth. Light it up! The Oceano Jr. Lifeguards and friends will be cooking up a storm to help raise funds for their summer program. Last year’s meal was insanely good and a complete sellout! Tickets are sold at the event only on a first come, first serve basis (only 125 tickets!). BBQ will be at the event site picnic area, in front of registration, followed by our traditional beach bonfire. Possible firedancers/drum circle, tbd or music from local musicians from Taizen’s (Kinsley and Jamie’s son!) music school. Saturday is also Kinsley’s birthday so we’ll raise a toast in celebration! Stay tuned to www.thekiteboarder.com for updates.